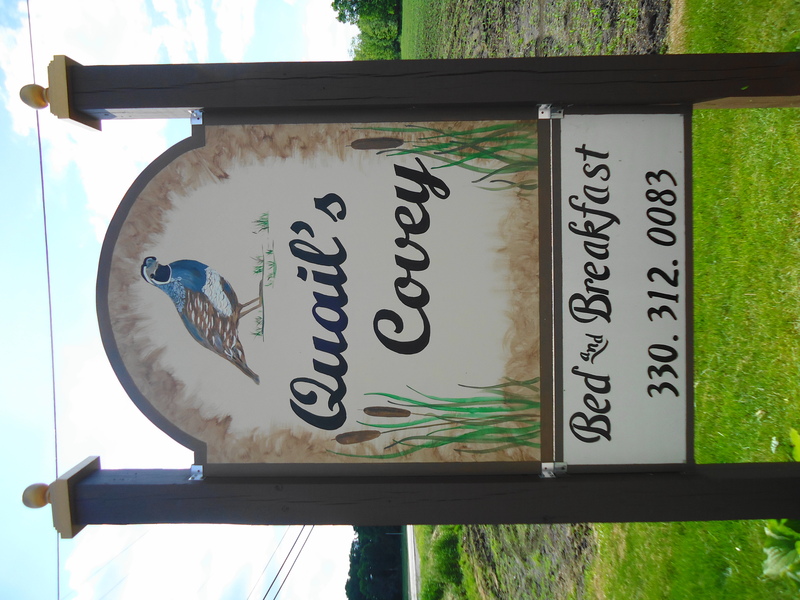 When you see the sign..
Nestled deep in the country, near Hartville, Ohio, away from city noise, down a tree lined lane, QUAIL’S COVEY is waiting for you. The Tudor style house sitting at the edge of Quail Hollow State Park has its own bass filled lake with our swans, George & Gracie gliding across the water.Â Numerous gardens, a waterfall, and a koi pond. Sit on the deck to read and you’ll hear only the birds and the breeze and you might see the deer that play in the yard. 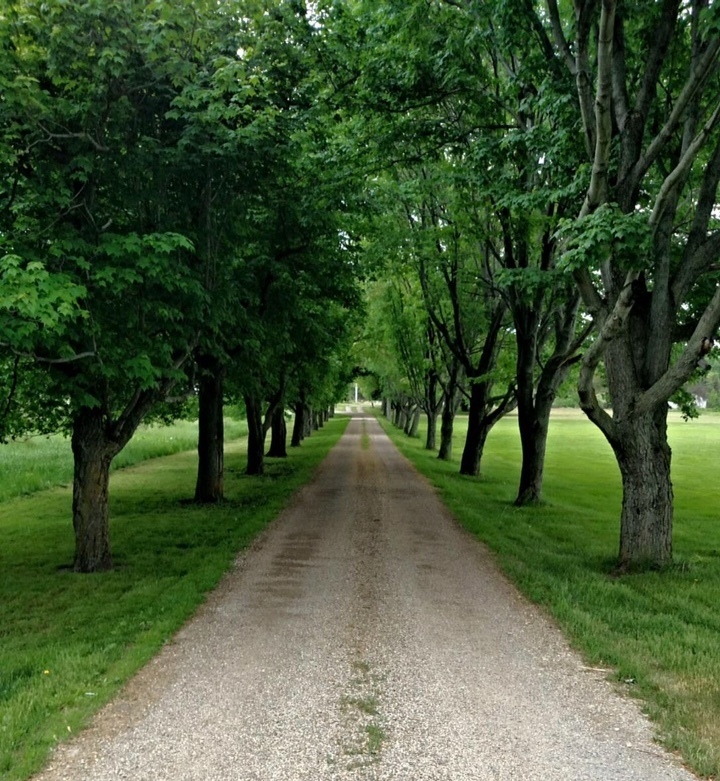 Or enjoy a hike or bike ride on the park trail just a few feet into the woods. Inside is just as inviting. The “Greatroom” with vaulted ceiling, fireplace, and lots of windows is a wonderful place to gather for games, music, tea, or reading; as is the wicker furnished sunroom with its soft music and waterfalls. The spacious suites/bedrooms with their woodland themes have Jacuzzi tubs and private decks. If you have your windows open, you will fall asleep to the lulling sounds of crickets, frogs, birds, and waterfalls. Enjoy Charlotte’s homemade apple dumplin’s and her scrumptious full breakfast. 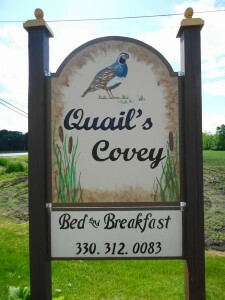 As you depart from Quail’s Covey your heart will be warm and your soul will be full. Web site © 2019 Quail's Covey. Subscribe to Entries RSS Feed or Comments RSS Feed. Valid XHTML and CSS.